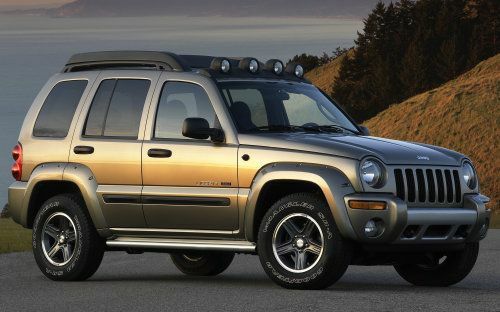 The National Highway Traffic Safety Administration and the Chrysler Group have announced a recall of select 2004 and 2005 Jeep Liberty sport utility vehicles over a concern that road salt can cause excessive corrosion to the suspension – potentially leading to the loss of vehicle control if the suspension should fail. The new Jeep Liberty recall pertains specifically to 2004 and 2005 model year vehicles produced between July 3rd 2003 and July 14th 2005 that were sold in – or that are currently registered in – states that commonly use road salt to battle the winter snow and ice (“salt belt states”). Locations included in the recall are Connecticut, Delaware, Illinois, Indiana, Iowa, Maine, Maryland, Massachusetts, Michigan, Minnesota, Missouri, New Hampshire, New Jersey, New York, Ohio, Pennsylvania, Rhode Island, Vermont, West Virginia, Wisconsin and Washington, D.C.; with a total of 209,724 sport utility vehicles possibly affected by this issue. It seems that on the recalled Jeep Liberty SUVs, prolonged exposure to road salt can cause accelerated corrosion to the rear control arms. This severe corrosion can wear away at the control arms and cause the metal to weaken – potentially leading to the control arm cracking. For those unsure, the control arm is the portion of the vehicle responsible for keeping the wheel and braking assembly in place on the vehicle so when a control arm breaks, the wheel could possibly come free of the vehicle. A wheel coming off poses a clear safety risk to the driver and passengers of these affected 2004 and 2005 Jeeps as well as others around them on the road so Chrysler is getting them back to the dealerships to address the problem. “The excessive corrosion is a result of extended exposure to road salt, which is why the campaign is limited to vehicles originally sold or currently registered in salt belt states as defined by the NHSTA,” said David Dillon, Head of Product Investigation and Campaigns, Chrysler Group LLC. The good news is that there have been no reported accidents or injuries from the mechanical problems at fault for this new Jeep Liberty recall. The recall will officially begin in April at which point owners of these 209,724 Jeep Liberty SUVs will be asked to return to the dealership where both rear control arms will be replaced free of charge – whether there are signs of corrosion or not. This 2004-2005 Jeep Liberty rear control arm issue first came to light in April 2011 when the NHTSA opened a preliminary investigation after receiving nine consumer complaints of broken rear control arms due to excess corrosion. That original investigation was elevated to an engineering analysis in September 2011, which is generally the first step leading up to a full blown recall and less than a year after the problem was first addressed by the feds – a recall has been announced. North Carolina doesn't fall under the "salt belt" states list. I live in the mountains and have been witnessing the rust cunsuming my 2004 liberty. The running boards are bad and now its creeping up my doors. Will I receive a recall notice if I'm not in the salt belt???? Because I am without a doubt- in the SNOW belt!